The hot summer day is coming again, so playing in the water is the most enjoyable thing for you now. However, most of the beaches,swimming pools and water parks must be crowded with people. 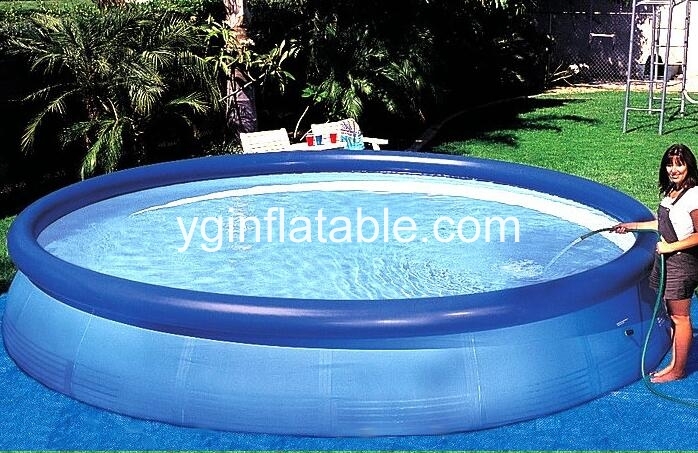 But if you use an inflatable swimming pool, you can also have a chance to enjoy playing in the water at your home. 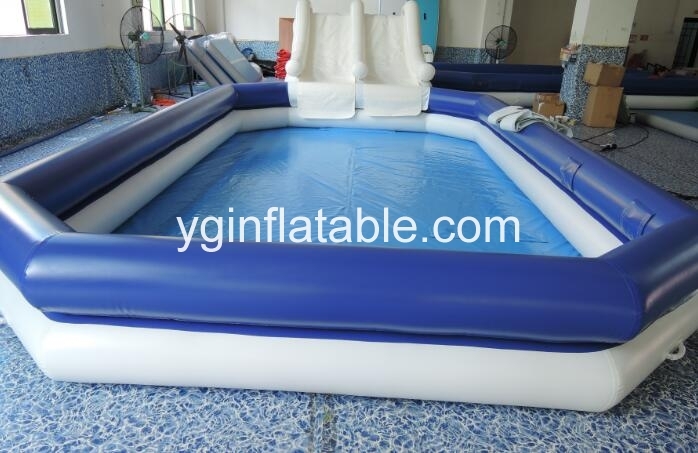 This isn't the huge built into the ground pool you see in large homes with a long garden but inflatable padding pools which are now available to span several meters in width. 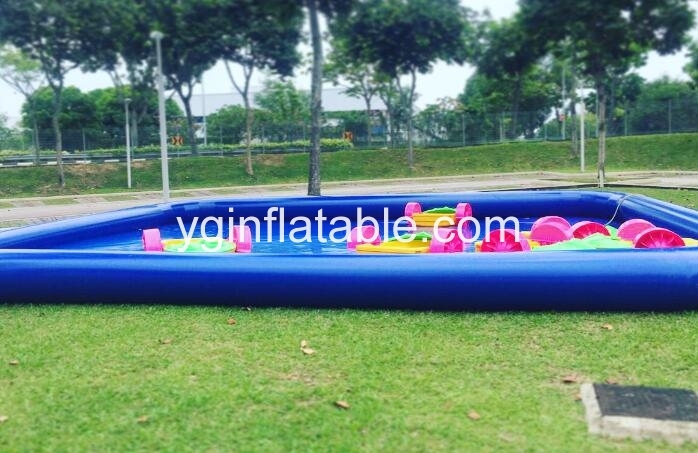 If you have not seen the latest in designs of the outdoor inflatable pools, it means you are missing a big treat. The days you would have a paddling pool which stood around 8 inches in height and took ten minutes to inflate are gone, now you have a completely different range. These ranges are not specific to one country as they are taking the world by storm so look for the available options right up to extremely large oval pools which can hold both your family and friends even getting up to twenty people in the largest sizes. What you find though is most popular is the range of small pools from a inflatables manufacturer which can hold 2-4 people be it children or adults. They are pretty deep compared to old fashioned pools so a good amount of the body is covered in water, which is much better than being in direct sunlight during days with little cloud. You have a pool which fills up by water entering the inner ring of the pool. The pressure of the water entering the tube, pushes the pool up to finally producing a pretty good sturdy pool ready for having hours of fun in. When you look to place any pool, be it an entry level pool or large framed pool there are a standard set of considerations to bear in mind.The material used to create the new age of pools are very thick but even a stray sharp stone or thorn from a garden rose can puncture the lining if given enough pressure. This means that you should make sure the area the pool will stand is completely clear or anything sharp or which could lead to a puncture as a pool full of water on even a small rounded object could cause an issue. The other main consideration is to stand the pool on a level surface as water can easily flow to one side if on a slant and cause the pool to bow or even burst. So now you should take a look at these new inflatable swimming pools and get a huge amount of family fun in this summer. Of course, you can also get those pools in stock. All of them can bring you and your family more fun in this hot summer.